This is an extraordinary online writer’s course of exquisite quality. Not just on writing but communicating, how to use words to move people, motivate, broaden horizons, build bridges and bring people together. It’s through writing and writer’s words that this can happen. That is what this course is all about! You may think you can get this course elsewhere but you are Wrong, Wrong Wrong! You will be studying with Dr. Jeffrey Lant. One of the top writers of the world. A man who moves people worldwide! Dr. Lant will show you exactly how you too can achieve this objective. Something the average writer doesn’t even know about. There is also a special emphasis on writing family stories that make your beloved live again and soar. For the last over 60 years Dr. Lant have been writing stories about his family, including his grandparents, his father, his mother, his two siblings and his only niece and nephew. He has written biographies, autobiographies, memoirs, commentaries and recollections focusing on relatives, friends, neighbors, employers, co-workers, room mates, teachers, pastors, coaches, and more. And let’s be clear, he didn’t forget pets either! Stories like that of his pet Peking Duck, George Quacker, who used to fly to greet him and retail all the news upon the arrival home from school. In his stories they all live, and live forever. He has now written hundreds of stories about these people. The repertoire includes stories that make you cry and stories that make you split your trousers laughing, because, you see, it’s all part of what makes you and every member of your extended family tick. Hardly a day goes by that folks from all over the world don’t come and ask Dr. Lant “How can I write like you write? How can I keep the people I love alive, like you do?”. Learn the art of writing with Dr. Jeffrey Lant in what will become the most important class you ever take and the most lucrative. Let me be very clear with you on Dr. Lant’s point of view. He didn’t just write, no matter how satisfying, he also wrote for money. In fact, during his prolonged writing career, he has made millions of dollars scribbling! Yes, Millions! And here’s the best thing of all. He did it without compromising his exacting standards. He wrote what needed to be said… and he did so with integrity. you will NEVER profit online — or else. 99% of the people reading this are unable to profit. Ignore this and you’re one of them. to help you and pulverize your slow-witted competition. 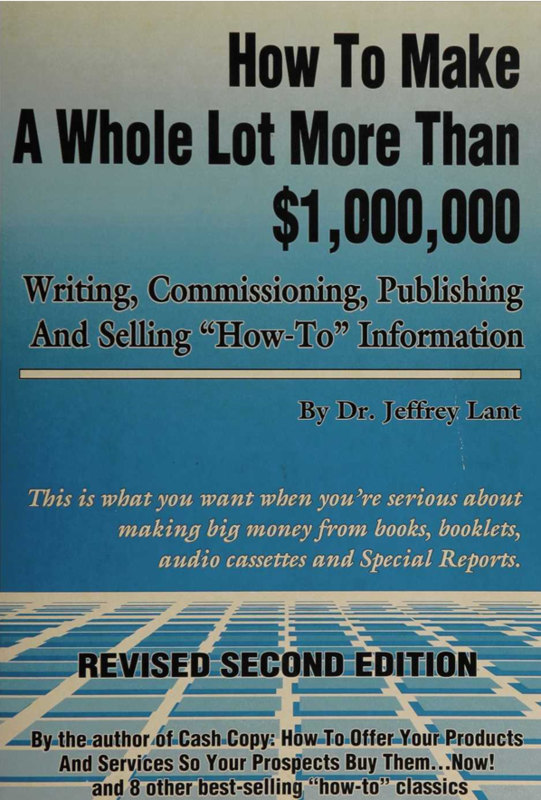 Now Dr. Lant is ready to spill the beans sharing with you experiences, tactics, stratagems, secrets and insights it has taken him a full, rich and productive lifetime to accumulate. He is going to tell you precisely what you need to write, to create the kind of meaningful, elegant and memorable prose you desire. Now this will not take a few hours, days or weeks. To become a master means working like a master.There are techniques to be learned and the ongoing editing and rewriting that will turn the merely pedestrian into the memorable, the grand, and the glorious. YOU are capable of this, but only if you’re willing to rise above poor work habits and accepting the mediocre. What I outlined here are the enemies, we can all fight them, but we must focus here, now and forever, uprooting that which is merely “good enough.” Only the good, the true, the honest are good enough. It is Dr. Lant’s pleasure to assist your achievement of them. Writing tips for each week. These tips are short, sweet, and proven to improve your writing. special Guest appearances. The conversations that follow are designed to help you improve your writing and are guaranteed to be fast-moving, clever, and packed with useful material. Critiques of student writings. The discussion will be honest, direct, and positive. Readings from Dr. Lant’s works and those of guests and experts. 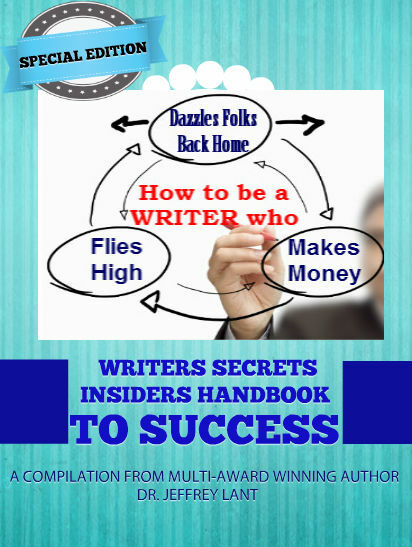 Here’s an outline of just SOME of what you get with Writers Secrets Course. You must master each part to succeed as a writer. 1) How to begin successfully. 2) A room of your own. 4) Prepare tonight to get started in the morning. 5) How music can put you in the mod. 6) Setting a quota — and achieving it. 7) Writing when you feel like it. Writing when you don’t. 8) Gathering your facts. Knowing which to use; which not. 9) Kill the telephone and all related interruptions. 11) A quick lesson on words. 12) Never force your writing. 13) Start your day by editing what you wrote yesterday. 16) How to write a knock-out opening paragraph. 17) Knowing and using the right word. 18) Are you writing the truth? 19) Take a break: brainstorm future article subjects. 20) How to use music. 21) The dictionary is your friend. 22) Wikipedia. How to use it. 24) The importance of convenient line length. 25) Fact first. Getting them. Arranging them. Using them. 27) Writing about other family members and friends. 30) Becoming the emotion meister. 34) Reviewing your bad habits. If you don’t write regularly, you cannot improve. 35) Research gives your writing heft and teeth. 36) How to organize family history before writing. 37) Writing testimonials and remembrances. 38) Reading your words for maximum impact. 39) How to make characters you create real. 41) How to write cover letters that sell your articles. 42) How to get civic recognition, prizes and awards for what you write. 43) Plagiarism and Fair Use. 44) Protecting what you write. 46) Presentation copies and how to give them. 47) Think and act like a literary star before you are. 48) How to deal with criticism. 49) Read other authors… then read some more. Make it a point to read more than you write. 50) Thanking the people who helped you… ahem! As often as possible individual student works will be discussed in class, particularly if what has been submitted indicates a significant problem! And this all happens, hey presto, in this course where your interests are prime… and what you pay each day is less than a piece of pizza with rewards that could be astronomical. Buy A Connoisseur’s Journey, Being the artful memoirs of a man of wit, discernment, pluck, and joy. 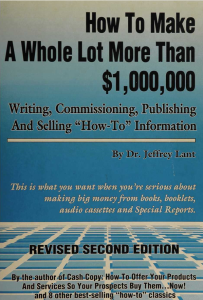 Each week for the next year Dr. Lant will release a precise, clear, important tip for improving your writing, especially your family stories, with a goal of making it so limpid and true publication is not only warranted but inevitable. And, of course, your fame and reputation will rise. You’re probably wondering what all this will cost. “A Connoisseur’s Journey – Being the Artful Memoirs of a Man of Wit, Discernment, Pluck and Joy“ MUST be acquired! After all you too will be writing a lot about yourself and this pace-setting memoirs gives you a superb model. Surely you will want to have that dash and polish, too. LOCK THIS $30/yr PRICE IN FOR LIFE! Here are your options. What do you want to do? Write with yourself as your coach? Or write with Dr. Lant’s care and consideration for one year! 1) An invitation to attend one live video program with Dr.Lant each week. Each one is also recorded and posted for 24/7/365 easy action. 2) Dozens of articles by Dr. Lant which provides detailed models and examples you can study to improve what you write. 3) Interactive sessions where you can ask Dr. Lant questions based on student writing. This can be excruciating but the truth, the whole truth and nothing but the truth is crucial. Yes, Dr. Lant will show you that, too. But here’s the deal! If you are sitting there complaining about spending not even $50 bucks, please move on. We’re here to help people who really want and need it. Learn more about Dr. Jeffrey Lant. 2) His books are available worldwide. They deal with virtually every kind of writing, including copy writing, marketing, public relations, fund raising and much more. 3) He has taught expository writing at Harvard University (from which he graduated in 1969 with an M.A. and Ph.D. in 1975). Some of the colleges and universities he has taught at include Boston University, Boston College, Northeastern University, University of Maine, University of Vermont, Chatham College, University of Pittsburgh, Case Western Reserve, Eastern Michigan University, Jacksonville Community College, University of Minnesota, University of Oklahoma, Southern Methodist University, University of New Orleans, and many more. His writing has been published in thousands of professional publications worldwide, not to mention providing the skills needed for the scripts he created for his syndicated program on the Business Radio Network and independent stations nationwide and beyond. It is his proud boast that every word he wrote makes money and gets published, one way or another! He will host well-known writers and grill them about how they write and how they make money. Expect real insight and analysis. Your time is valuable and we know it. This program will provide useful information only. Top industry professionals will be interviewed on their insights and tips. 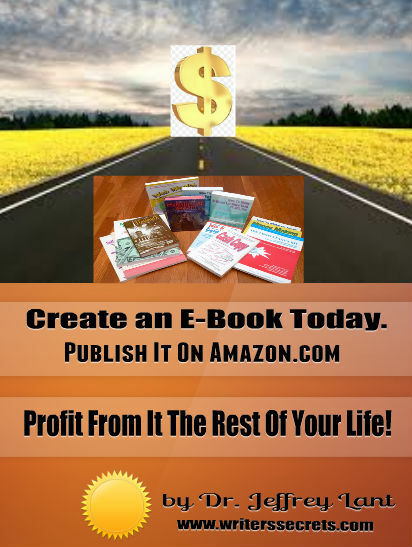 You need to know everything about how to write and make money. We give it all to you so you get maximum benefit. Dr. Lant is a leading expert in how to integrate music into your prose to increase its impact. If for no other reason than this you must read Dr. Lant’s memoirs carefully. They are the cutting edge of enabling you to create programs of awe that touch the heart. It is his pleasure to tell you of people of rank, position and influence who know how important this is. He will also teach you how to read your work to move an audience, including the international audience that is yours to conjure, enthrall, and maintain. You don’t get these features anywhere else. And for just a few pennies a day! Dr. Lant will show you how to master and use language for maximum effect. You will also learn how to move the emotions of your readers and turn them into life-long fans. You’ll learn words you must always use… and words you should never use. WORKING WITH DR. LANT – An honest look at a unique force of nature. these words is apt, true, and honest. know it), rude, occasionally “blue” but always by choice, never random. He’s awesomely smart (remember those two Harvard degrees). definitely not the product of is Illinois Methodist background. loving Iin his very practical way. get, when you know how! who has aided the endeavor. and gives them with a lavish hands and heart-felt gratitude. accepting the encomium with gratitude..
you go to www.writerssecrets.co I have my own special secret to impart. as I have seen him listen in his opulent office, The Blue Room. great crusade, nothing less than universal improvement at stake. you ever do, the very making of your life. Division of Jeffrey Lant Associates, Inc. 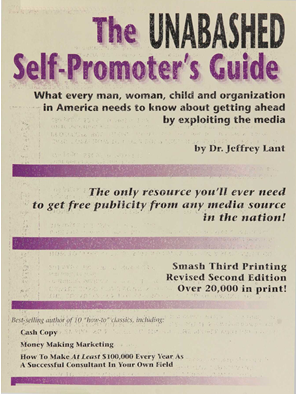 In 2011 I happened upon Dr Lant at WorldProfit.I am no longer a member of WorldProfit because I am not that interested in Internet Marketing.Writing,however, has always been one of my greatest interests.During my short involvement with WorldProfit,I learned so much from Dr Lant,as I watched him live,compose his articles. And now after these many years of not seeing him,I am so delighted to find him again,but in this new Writers Secrets setting. I am eager to learn more,so that I become a better scribbler.My goal in life has been to convey ideas,to get people to look outside of their own mind sets.So much of peoples beliefs are formed by emotion with no true thought and educated reason.This is the only reason I’ve joined Writers Secrets;for inspiration and to learn from a master writer.